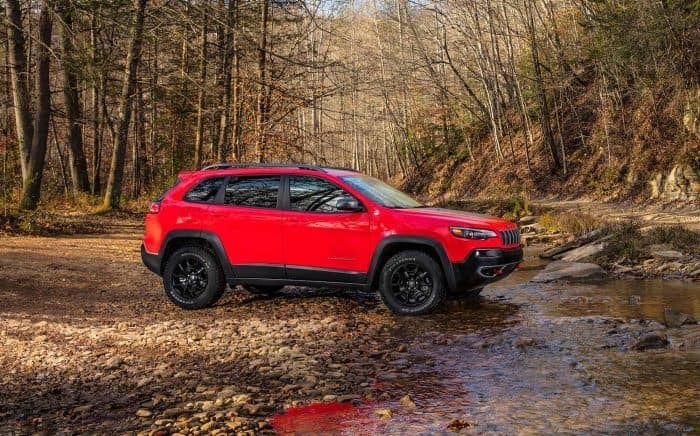 The 2019 Jeep Cherokee TrailHawk is capable of handling tough off-road terrain while you stay comfortable inside. Loaded with features that make the drive a safe and pleasureful one. This Jeep is a must see and drive at Antioch Dealership serving Chicago residence. To choose which model is right for you click here or stop in to Antioch Jeep near Chicago and drive one for yourself.